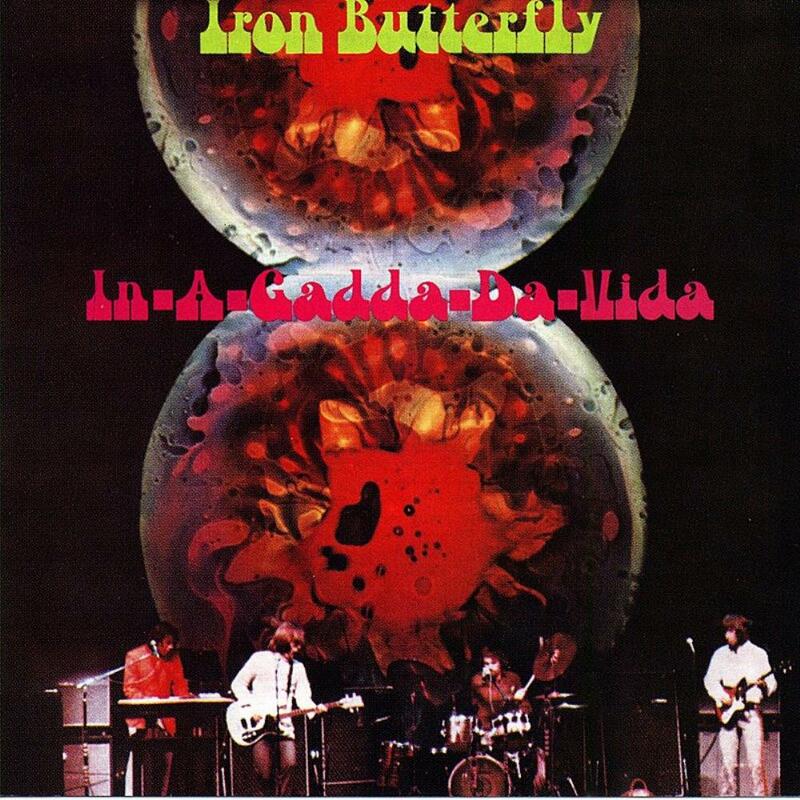 Essentially, this album from proto-psychedelic San Diego flower-pop-metal-merchants Iron Butterfly is a showcase for possibly one of rock music's greatest ever moments, the 17-minute power-chord pumping, planet-sized, organ-grinding epic that is: IN-A-GADDA-DA- VIDA. Made at a time when musicians such as Pete Townshend and Dave Gilmour were experimenting with extending the pop-song beyond it's limited three-minute time-frame, IN-A-GADDA-DA-VIDA really does show a good-but-not-great pushing themselves and their music to the very edge of creativity, and, as a result, piecing together a truly astounding, jaw-droppingly awesome piece of music. The five other songs on this album all veer between jittery flower-pop and organ-dominated sludge rock, but none come even close to matching the power and panache of the albums longest. TERMINATION is a pretty yet slightly bland affair that relies far too heavily on lead-singer Doug Ingles voice, whilst FLOWERS AND BEADS is a murky hippy tune, beefed up with a hammy-yet-enjoyable guitar solo and featuring some very fey lyrics. Bar the title track, MOST ANYTHING YOU WANT is the best thing here, a kind of proggy, up-tempo rocker which combines organ and guitar to cunning effect. But this is an album with one reason to buy it, and that reason is track number six. If you haven;t heard it, where have you been? Hell? Buy it now! Then, tune in, turn on and drop out. Or words to that effect. Groove on!